LoA II Closed Beta Successfully Launched! Warriors! Welcome to League of Angels Ⅱ! LoA II Closed Beta is online now! We're excited to welcome the first batch of elite players in the Closed Beta. Let’s get to know more about this before you start an adventure in Holy Land of Sapphire. 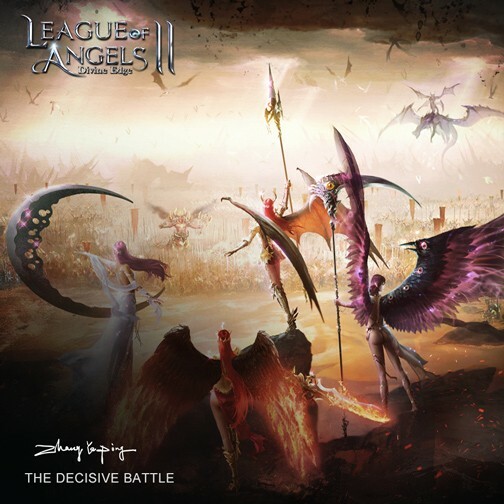 League of Angels II is a brand new Free to Play MMORPG games from developer GTArcade. Representing the next generation in the award-winning League of Angels franchise, LoA II has been in development for 2 years and built from the ground up as a next-gen title. The game features an innovative battle system that mixes action, strategy, and RPG elements to enable a wide variety of gameplay styles. Supported by great visuals and an epic fantasy storyline, this is one game you won’t want to miss. LoA II Closed Beta is held from March 24th to March 30th. This CBT is totally free to play. We have prepared enough rewards to ensure all testers to enjoy it. This CBT is a testing edition which still requires improvement. Therefore, it is only open to a small number of elite players. During this one-week CBT, we hope you can give us feedback and suggestions as more as possible. The more suggestions we’ll get, the better LoA II Open Beta players will experience. At the end of CBT, all players’ data will be deleted. However, by giving us useful suggestions, testers may obtain Gift Pack Codes which can claim Great Rewards in the LoA II Open Beta. LoA II Open Beta is scheduled to be released on April. LoA II OBT is an official edition that faces to everyone, keeping players data during adjustments and supporting recharge. If you missed the Closed Beta, do not hesitate to try our Open Beta! With the help of our testers of CBT, the Open Beta will be a better edition that brings you a better game experience. Last：March 31st : Farewell Closed Beta, Hello Open Beta! Next：League of Angels II Closed Beta Begins March 24th!